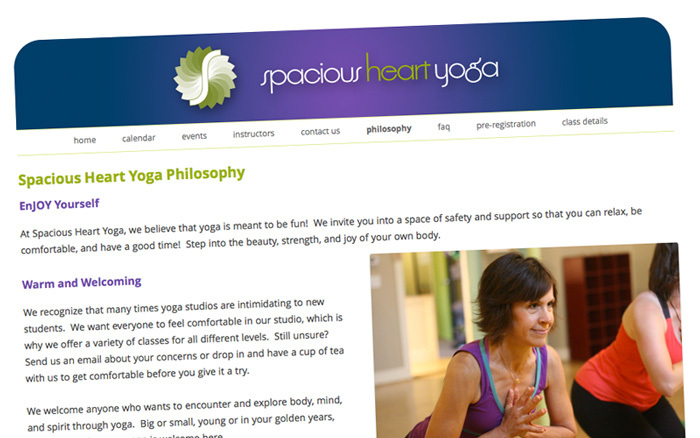 The Spacious Heart Yoga website integrates with the studio enterprise management system for easy class scheduling and calendar management. 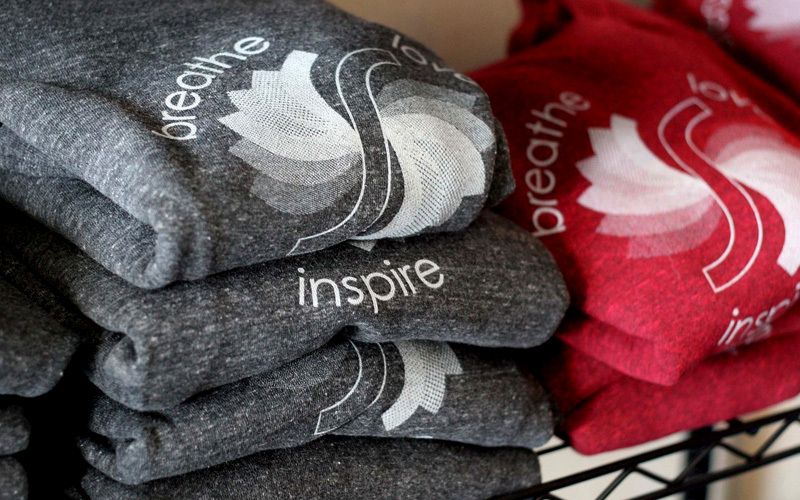 Local proprietor purchased a yoga studio with the desire to significantly expand the business and attract new, non-traditional customers. Eyedart provided business development consultation, researched and identified key markets, designed digital and print marketing materials, e-newsletters, and other studio collateral. The new owner has successfully grown the business, doubling the number of students and expanding the number of teachers from three to 12. Eyedart is full of creative and innovative ideas! They quickly innovate new ways to display information to prospects, successfully expanding my customer base. Their quick turn around on marketing materials is a godsend.